The FIM Service fails to start. Review of the Application Event Log, we see an Event ID 0. 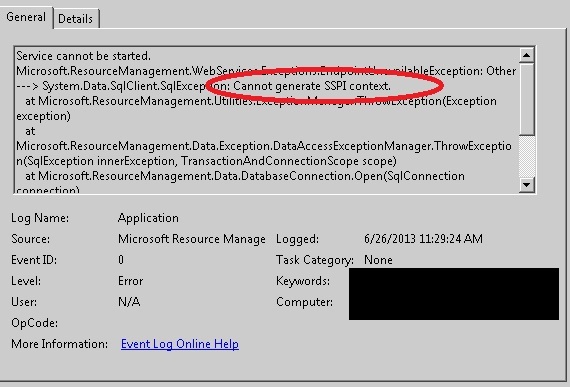 The key is the text within the message "Cannot generate SSPI context". This is an indication that there is a Kerberos problem. Specifically with connecting to SQL Server. Here is a great Microsoft Knowledge Base Article that speaks on SSPI. Reviewed the machine account in Active Directory that is hosting SQL Server and found that we were missing the SQL Server SPNs.